Face scrubs have always been a key part of my skincare routine, I suffer quite badly with blackheads and because my skin can get quite dry, they are vital for getting rid of any dead skin cells on the surface of my skin. 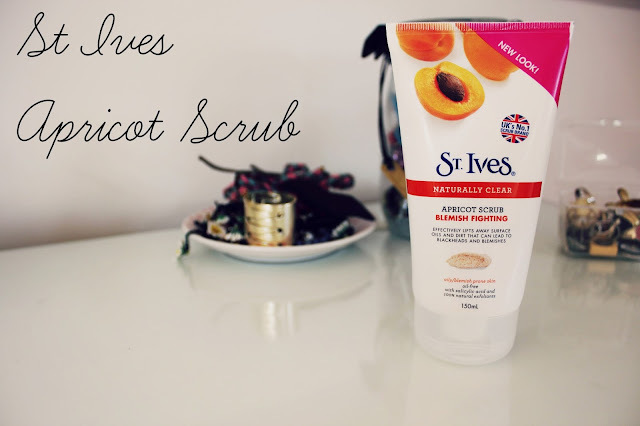 St Ives is a brand that I am quite familiar with and they have been voted the "UK's Number 1 Scrub Brand" which just shows how popular the brand is. The great thing about these scrubs is that they have different formula's depending on what you are looking for, if you suffer from breakouts like me, the Blemish fighting scrub is perfect! However they also have one for sensitive skin, mature skin and one for skin that simply needs invigorating! Personally I love when brands have different products to choose from as it is difficult to produce one product that caters for all the different skin types. This scrub is gentle on my sensitive skin, it doesn't feel scratchy like a lot of other scrubs do but it also doesn't feel like it isn't doing anything, which I've experienced before. After using it my skin feels so soft, it genuinely hasn't felt that soft ever! I am quite cautious with scrubs as I don't want them to aggravate my skin because of how sensitive it is, some products can make it quite red and I frequently break out when using new products. However I did not experience this at all with this scrub, I think you could use this scrub about 3 times a week rather than once a week like I usually do with scrubs, as it is more gentle on the skin. I've experienced my skin drying out a lot when using other products and having quite dry parts on my skin naturally, it wasn't nice at all! But even when using this product more than once a week I haven't noticed my skin being any more dry, which is a plus! I have really been looking forward to using this product as after using it I have noticed my pores look a lot less noticeable, especially around my nose where they are very obvious! My blackheads are also so much better which is amazing as they really bug me! I recently broke out after using Liz Earle Cleanse and Polish and my skin has gradually been getting back to normal, I used Cleanse and Polish just under a year ago and it took ages for all the spots to go away, however it hasn't taken long at all for them to go this time! I'm not sure if it is this product of another one (blog post coming later in the week) however either way, for the price of £4.29 you really cannot go wrong! It is so affordable and definitely staying in my skincare routine! Make sure to check out their website here to have a look at all the scrubs they have to offer, they also do products for your body! Have you ever tried St Ives? 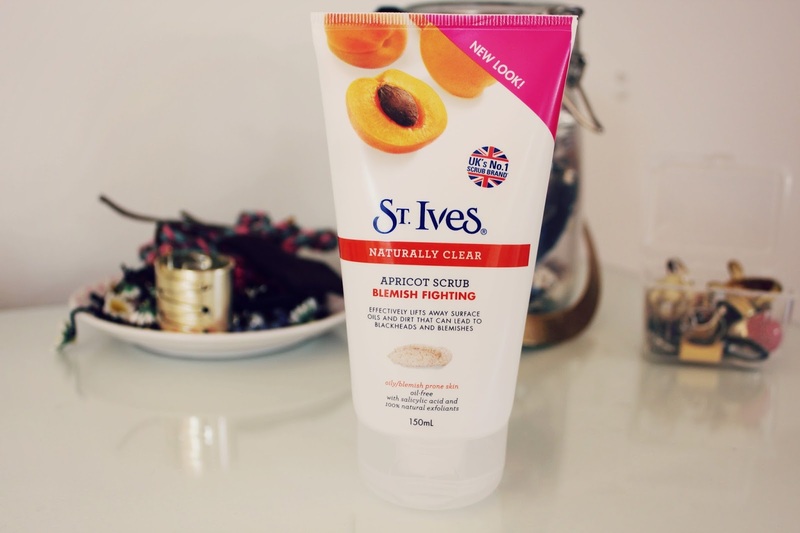 I've got the apricot body scrub and it works absolute wonders! I have never thought of using their facial scrub before, but I might take a look after reading this! I've always been a bit scared of using scrubs on my face too, I'd be worried that my skin would break out! This is the scrub I use, and I absolutely love it! its perfect for my skin. not much point forking out on a high end one with this baby ha! I used to use this and it worked really well! My skin broke out after using Liz Earle Cleanse and Polish too... not sure what my skin doesn't like about it, but I'm glad to know I'm not the only one! I used this religiously years and years ago. I'm not sure what made stop using it, but I'm on the hunt for a new scrub and maybe I should try this one out again?